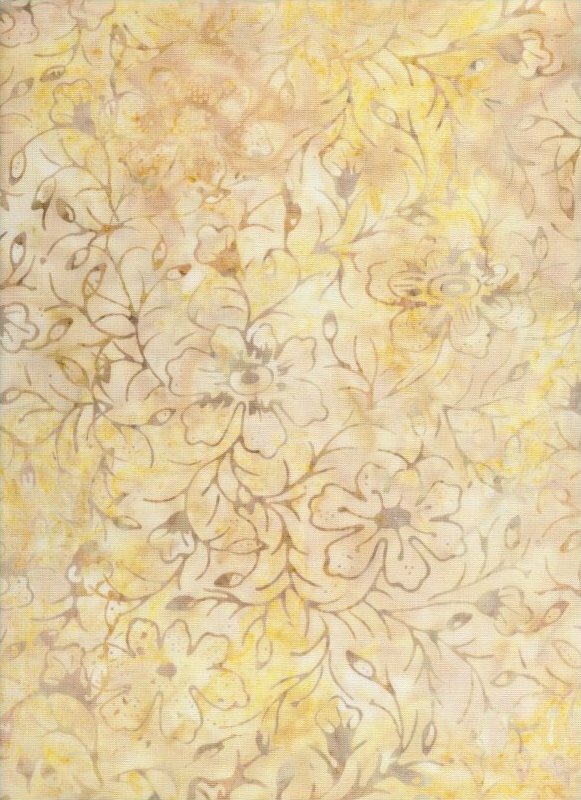 Gorgeous light almond background with barely-taupe woodblock flowers and leaves, along with some discreet splashes of yellow. 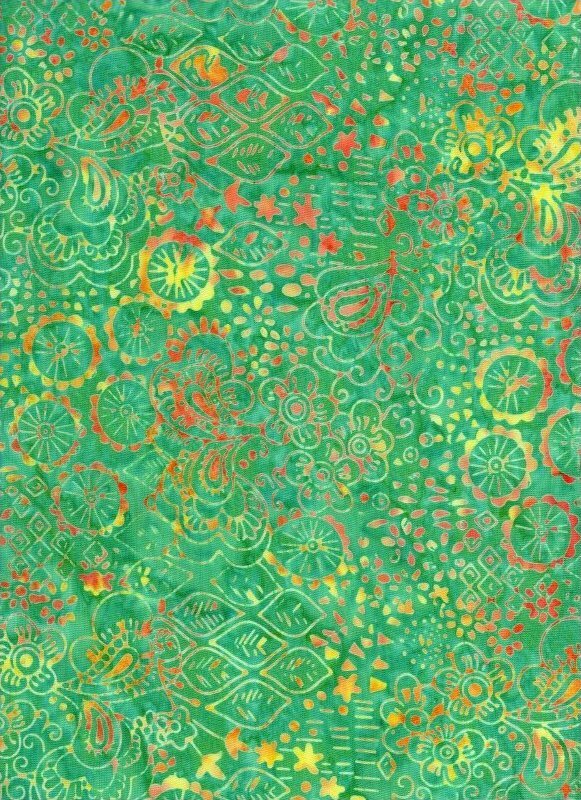 Wonderful background fabric! 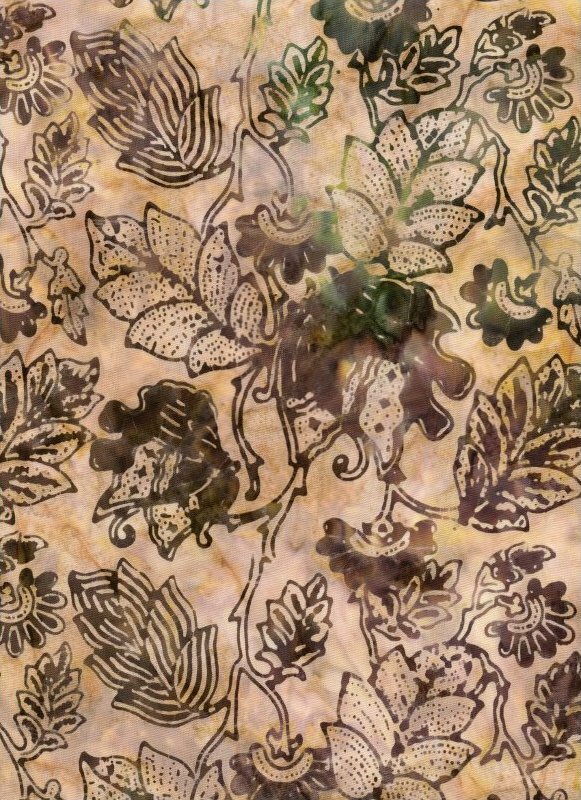 This Tonga batik from Timeless Treasures has a beautiful almond background with sepia, tumbleweed and goldenrod woodblock flowers & leaves. The print has a Jacobean feel to it. 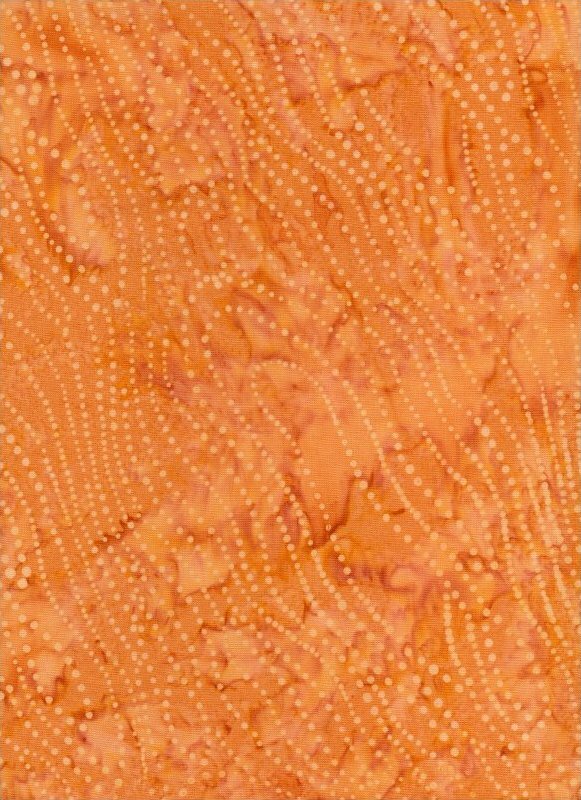 This gorgeous apricot blender from Tonga batiks has pale dots trailing all over it, with touches of peach in the marbled background. 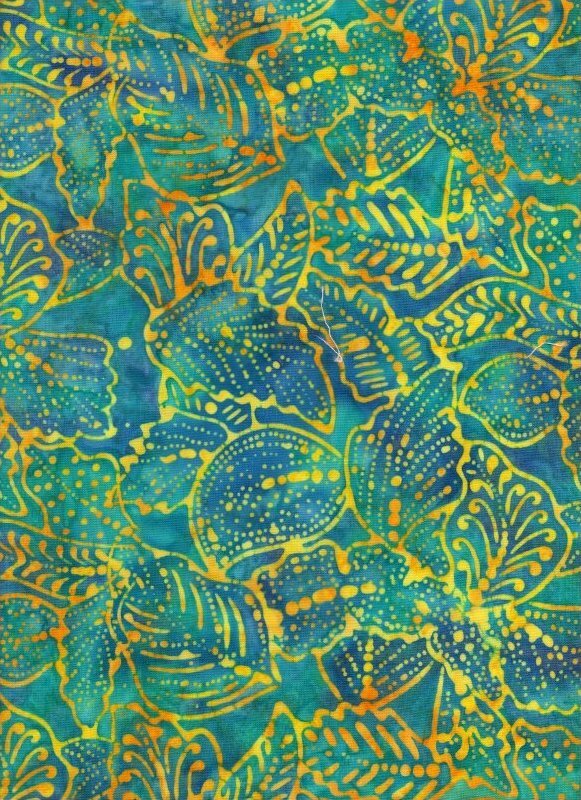 This is the aqua batik we'd nearly given up on finding! 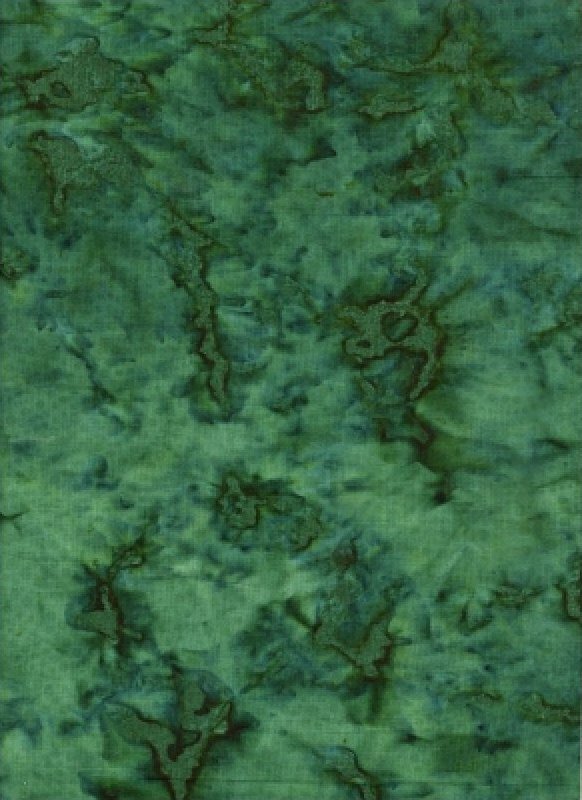 Not blue, but not green ... perfectly aqua in a rich textured tonal from Tonga Batiks. 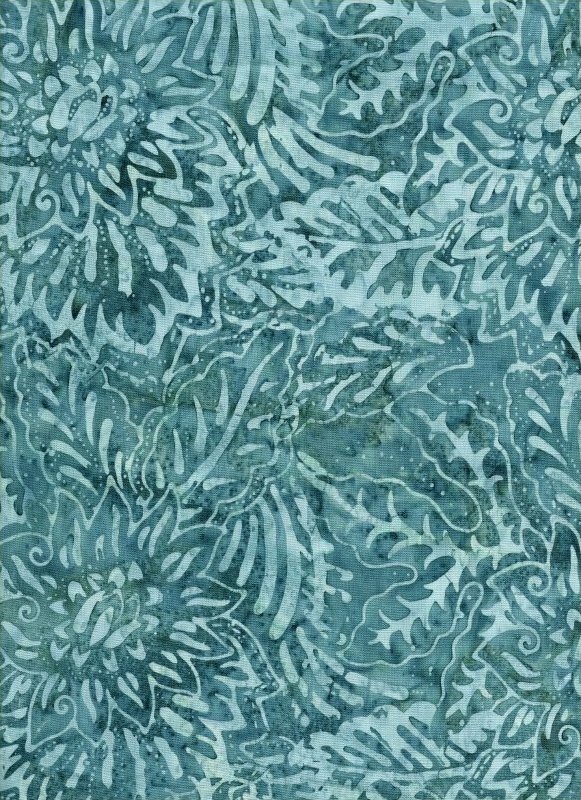 This lovely Tonga batik is a deep aquamarine color with a sunshine-colored woodblock print of fairly large leaves. You can't help but think about a summer day on the water when you see this piece. 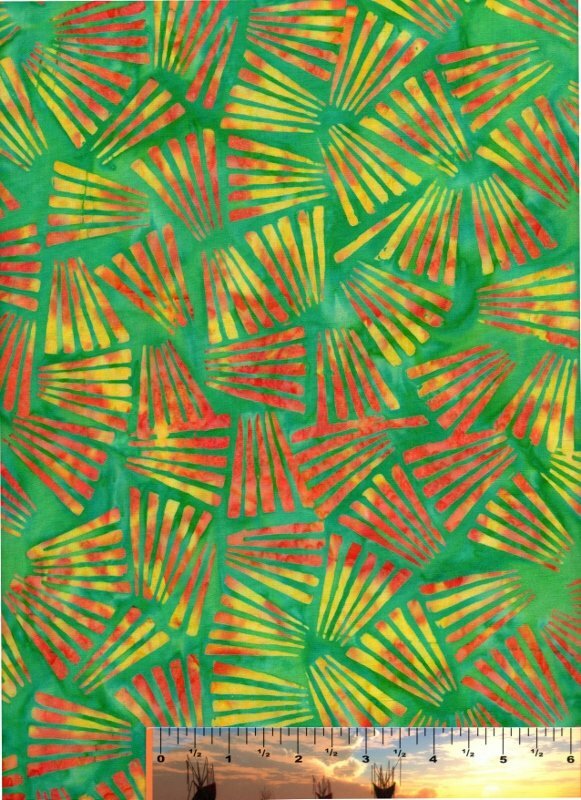 This Tonga batik features bright orange/yellow "fans" printed on a bright spring green background. 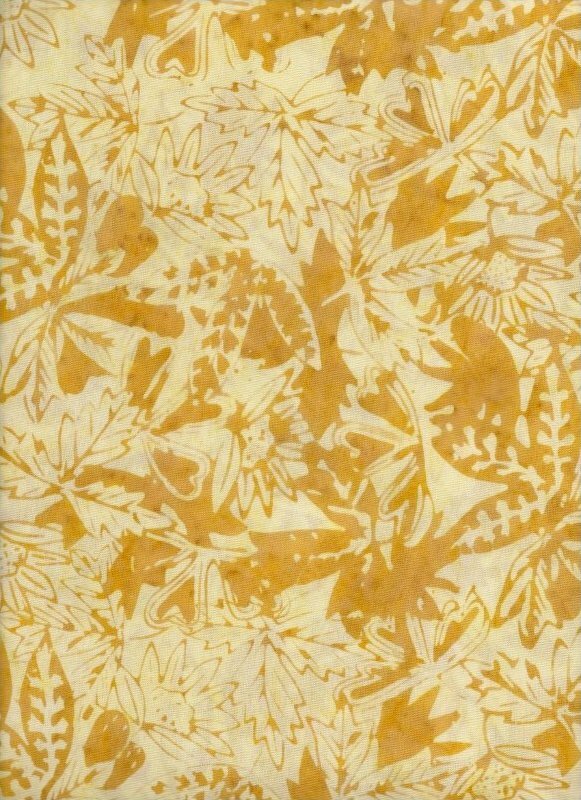 This great ivory woodblock print of branches, leaves and flowers on a butter-yellow background is a superb blender. 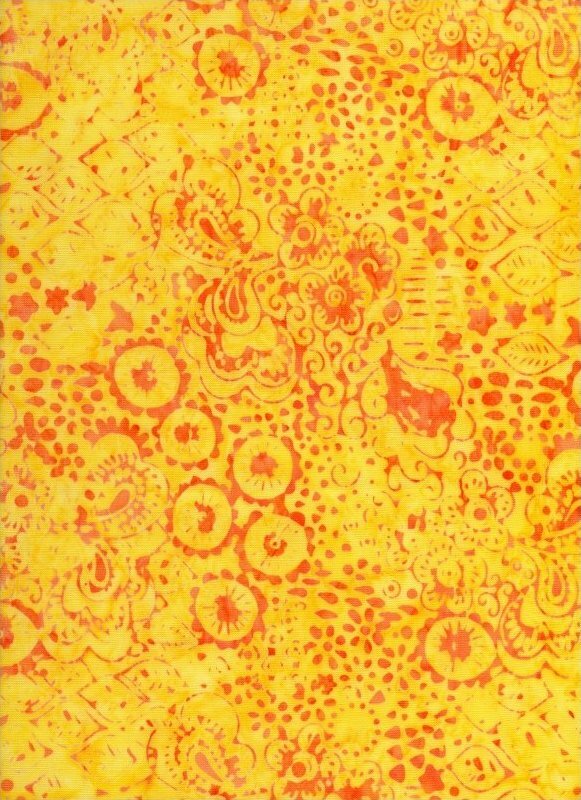 Sunny canary yellow Tonga batik has a sweet small to medium scale tangerine woodblock print. Beautiful nearly-white background with very pale grey-blue woodblock medallions. Great background fabric. Pale melon background with vivid tangerine and "mac & cheese" batik woodblock tropical flowers -- beautiful tone-on-tone in shades of light orange. 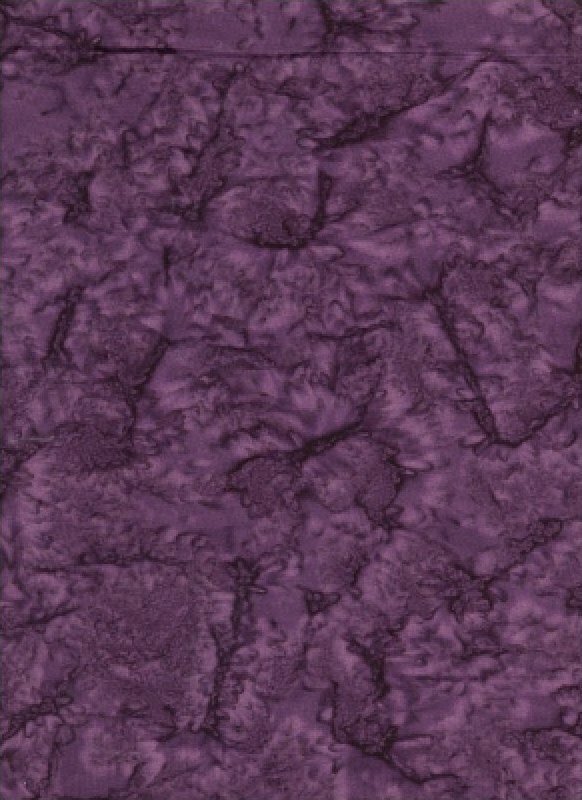 This lovely fuscia batik features a chop print of clusters of branches in a deep plum from the Tonga Nature collection. 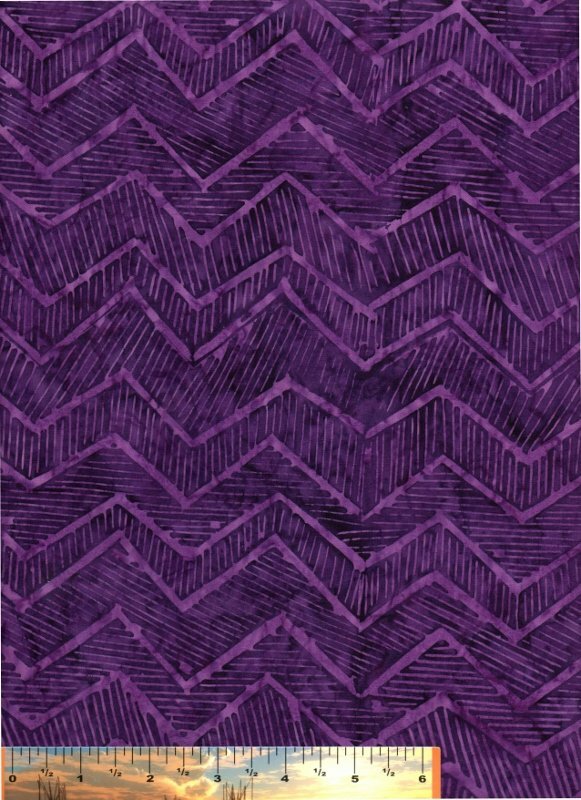 This Timeless Treasures batik is a deep violet zig zag print that will give lots of motion to your project. 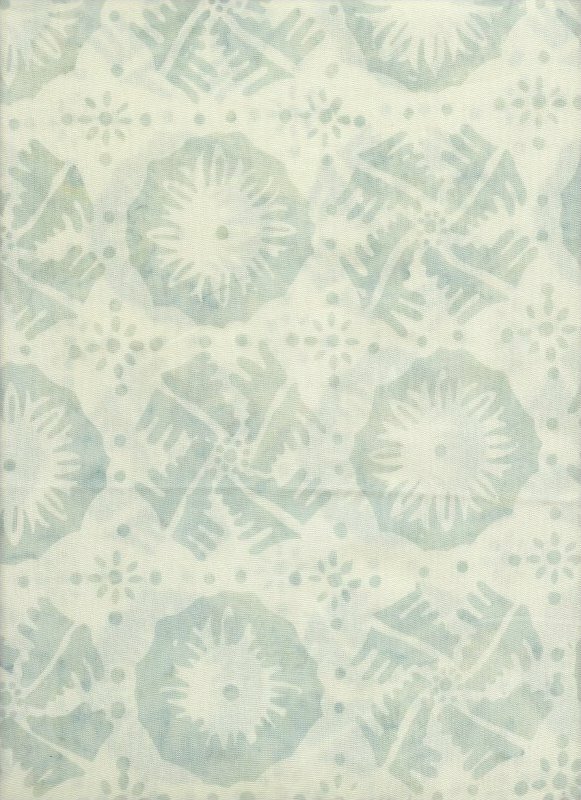 This batik features a lovely hunter floral woodblock print on a mottled mauve, melon & lavender background from the Tonga Nature collection. 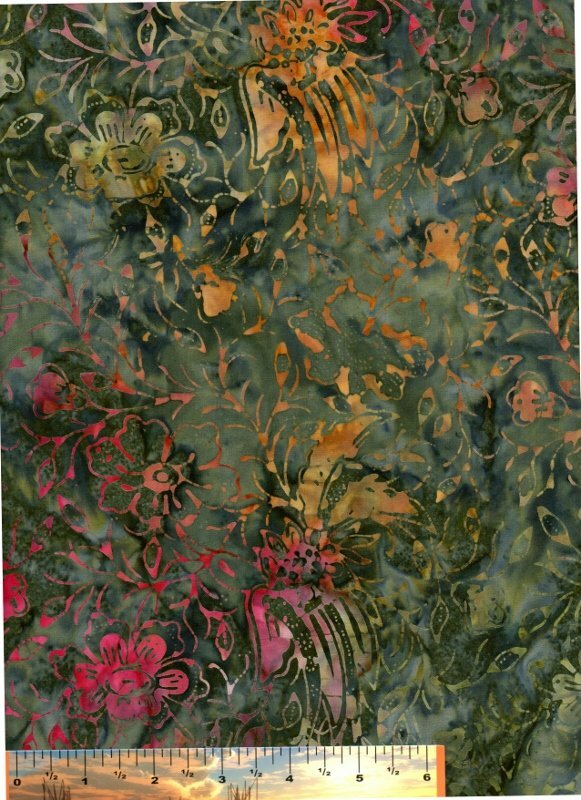 This lovely Tonga batik features multi-colored wood chop floral prints on a jungle green background, part of the Tonga Nature collection. 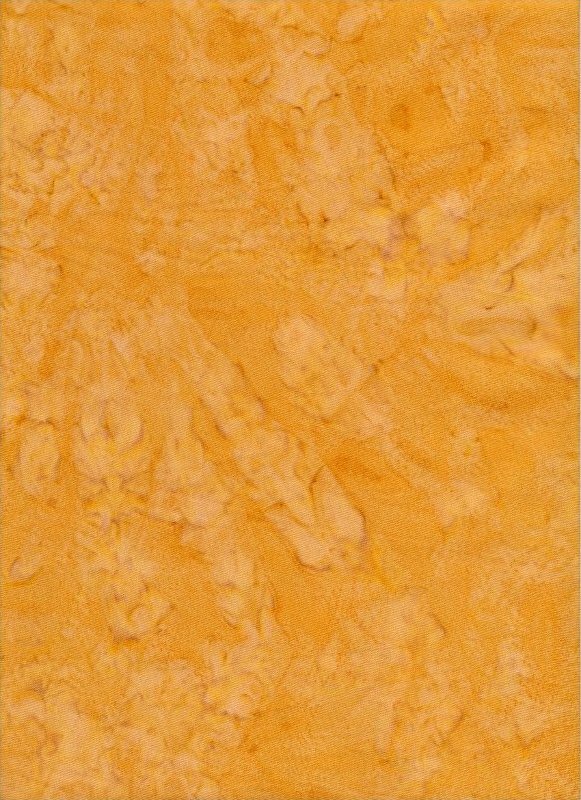 This rich golden tonal batik from Tonga Batiks is a little bit deeper gold than yellow mustard, but that's what it reminds me of when I see it. 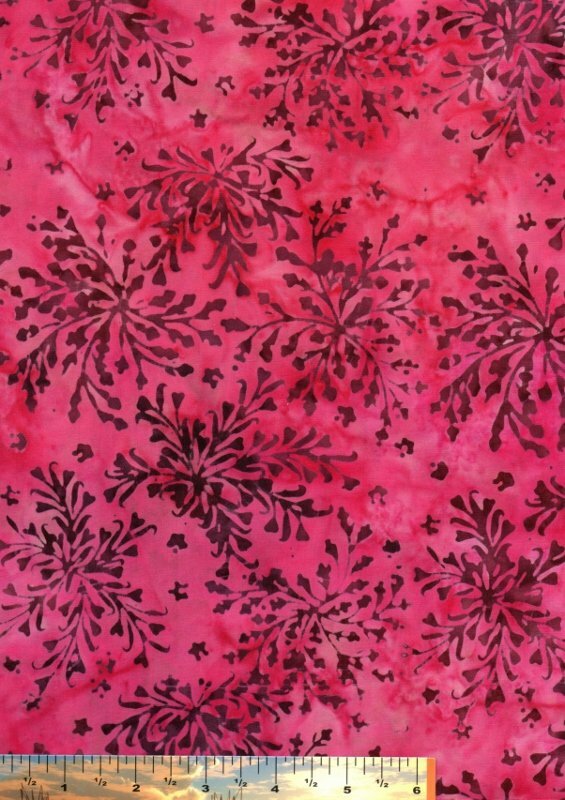 From Timeless Treasures, this hand-dye batik has a deep, luxurious velvety appearance. 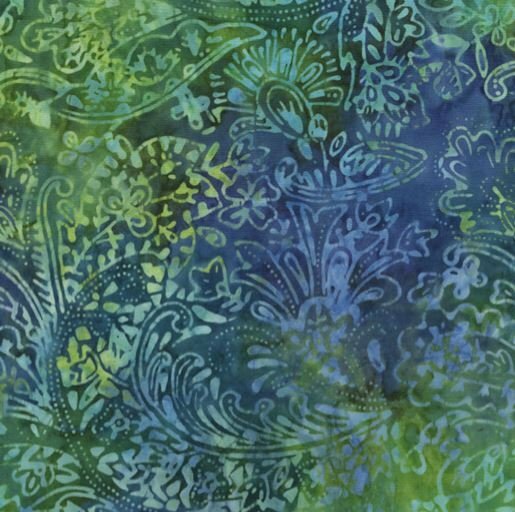 This gorgeous Tonga batik features tossed flowers of pale green, straw, lavender, magenta on a gorgeous jungle green background from the Tonga Nature collection. 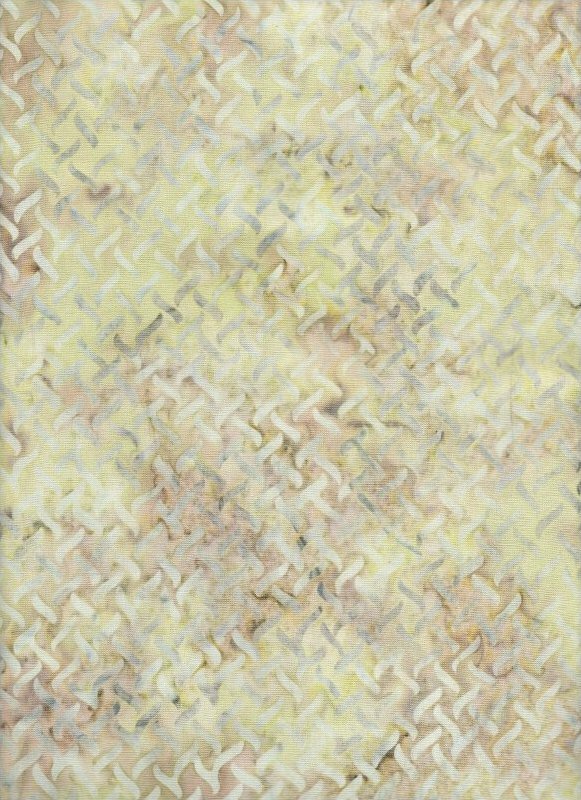 You'll get great texture with this sage and taupe tonal batik, which features a very pale gray lattice print all over. 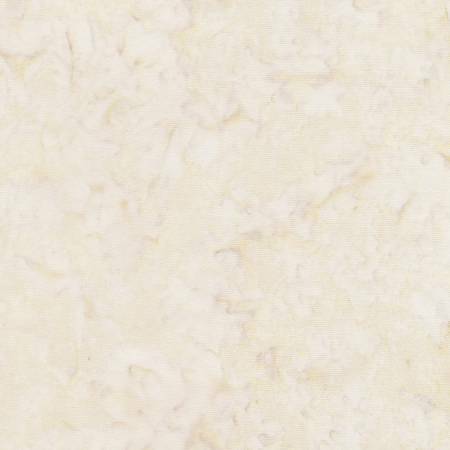 This creamy malt batik print from Tonga Batiks is so faint it reads like a marbled hand dye. 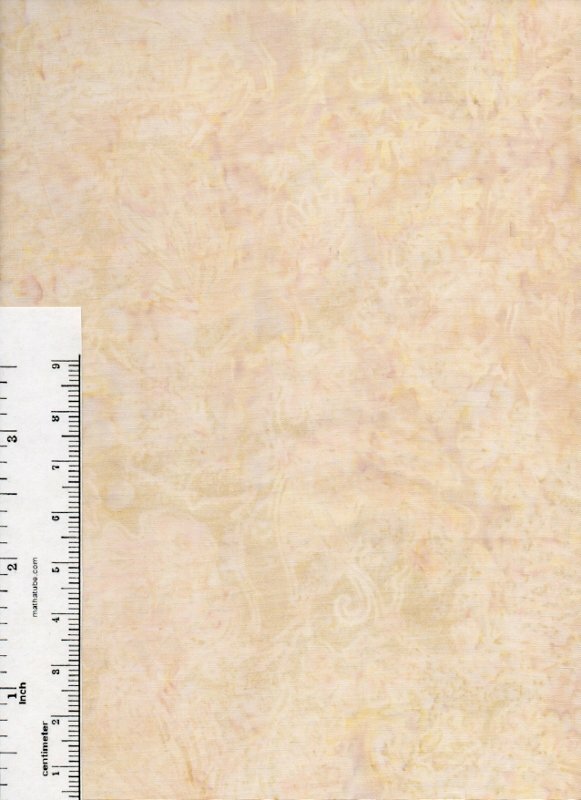 Fantastic background fabric! 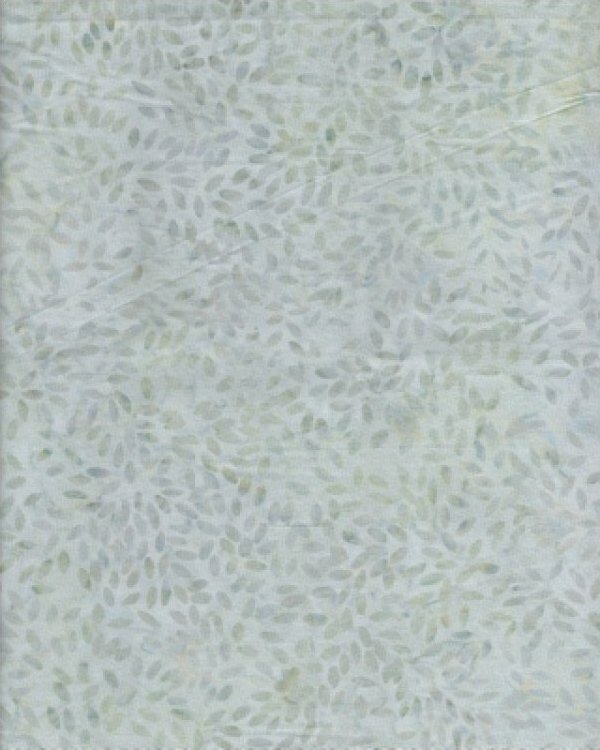 This lovely mossy green Tonga batik has ivory, pale gold and light periwinkle woodblock-print leaves scattered across it. 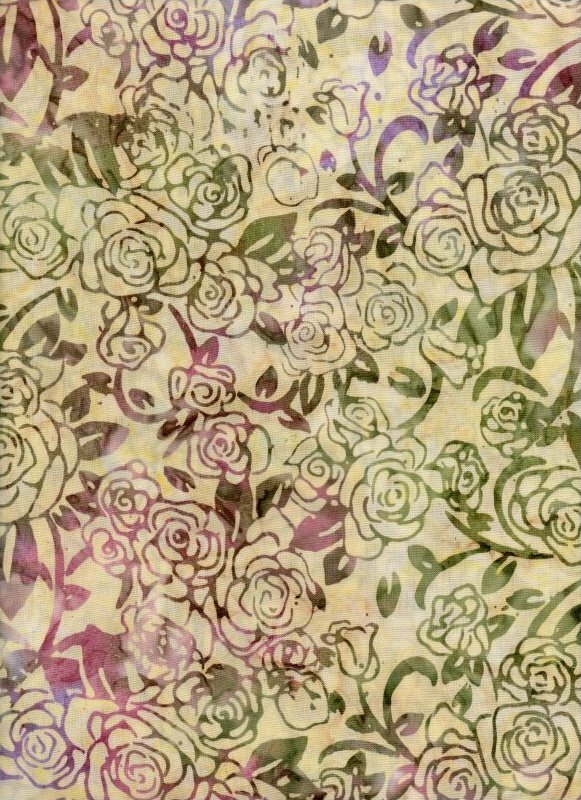 This pale yellow-beige background has deep green and plumb stencil-like roses through. 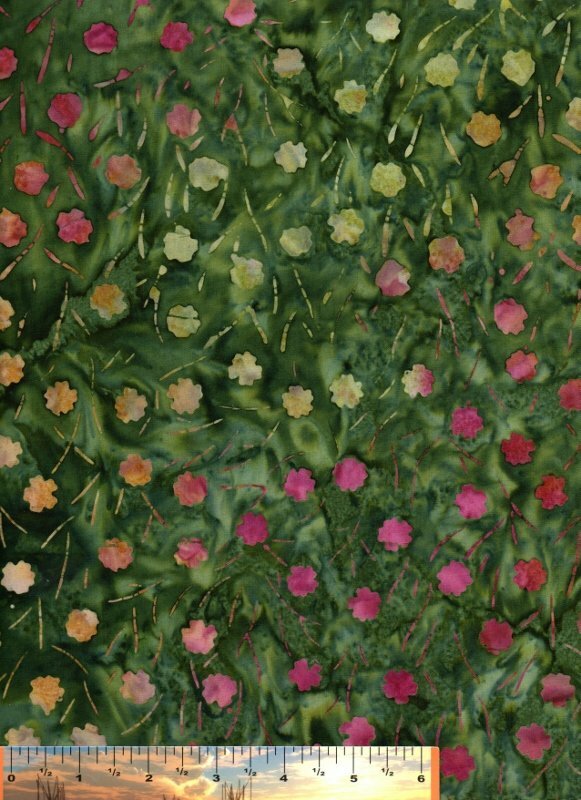 Although it's called "opal", it reminds us of stained glass. This sweet parakeet-green background has yellow, peach and orange leaves and flowers scattered across it. 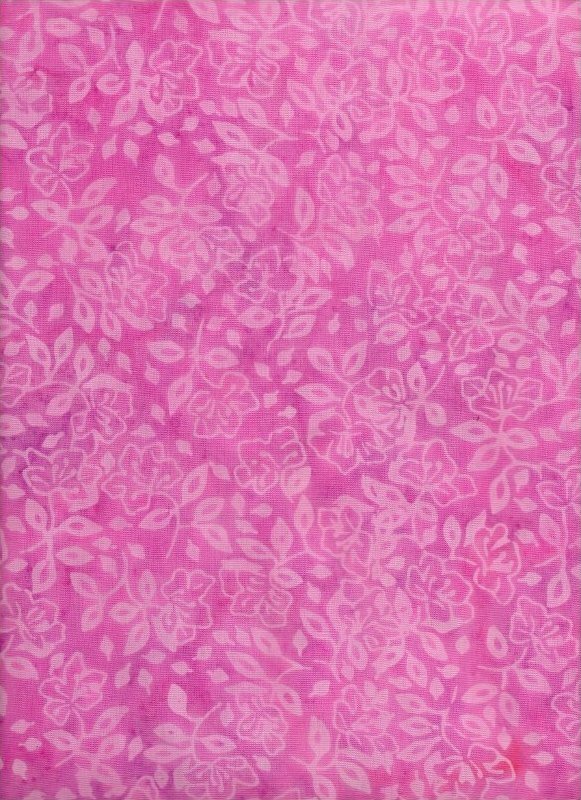 Beautiful medium (bubblegum) pink with creamy block vine & floral block print. 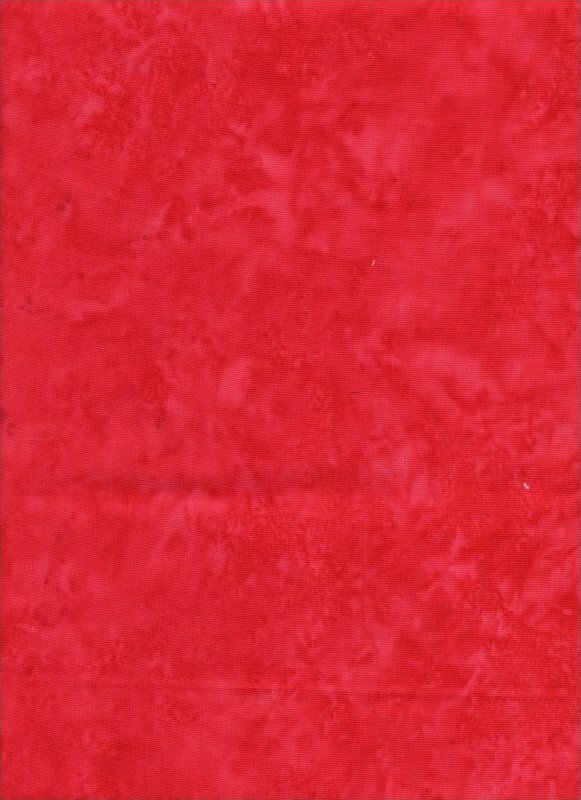 This beautiful red tonal batik from Tonga Batiks is the color of wild strawberries - very versatile red! 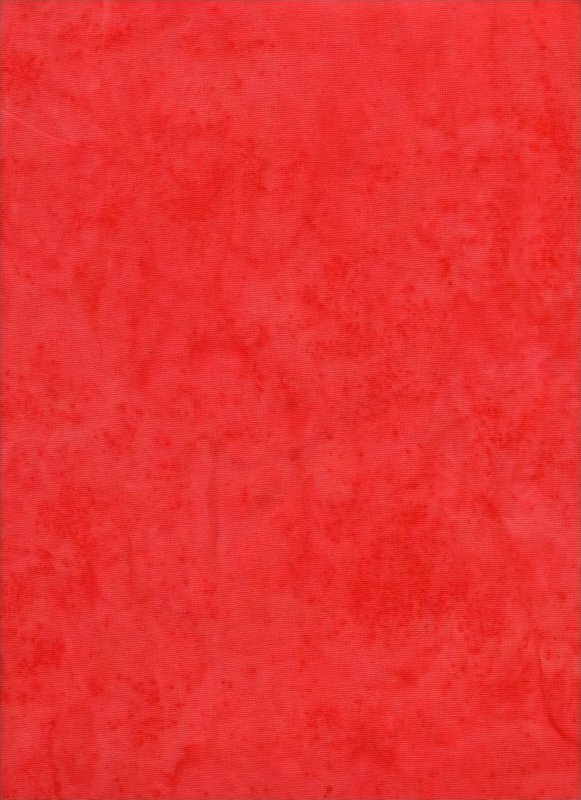 No pink tones or orange tones ... simply red. 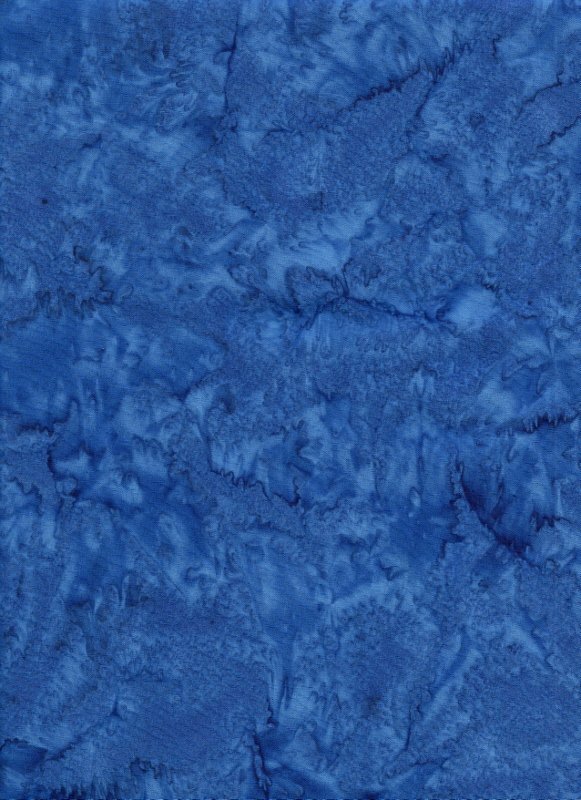 Rich and luxurious, this royal blue hand-dye batik is from Timeless Treasures' Tonga line. 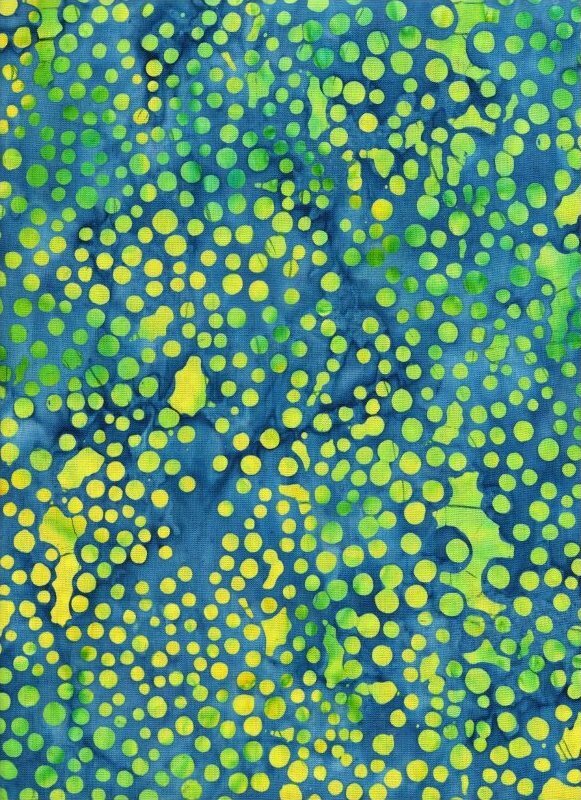 This fun Tonga batik features green, lime and yellow dots on a variegated sapphire blue background. 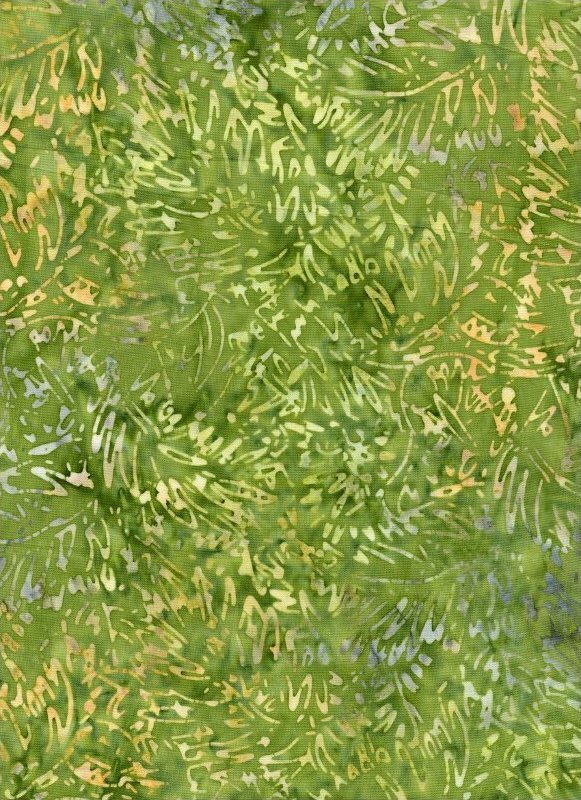 It reminds me of a slow-moving, sun-dappled river on a summer's day. Beautiful pale gray batik background with small tossed darker gray seeds. 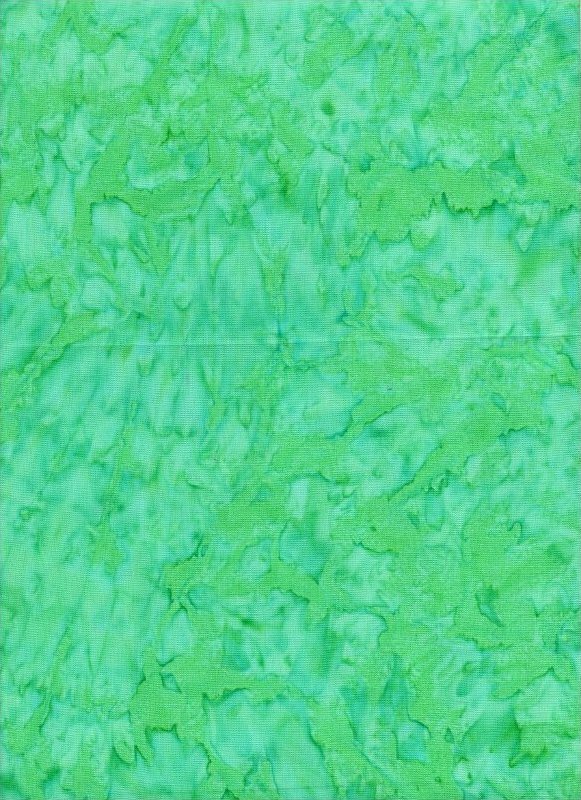 Wonderful background fabric! Beautifully cool denim blue Tonga batik is in the grayish-blue family. 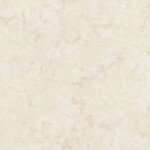 This is a lovely tone-on-tone woodblock wax resist design that works well in all seasons. 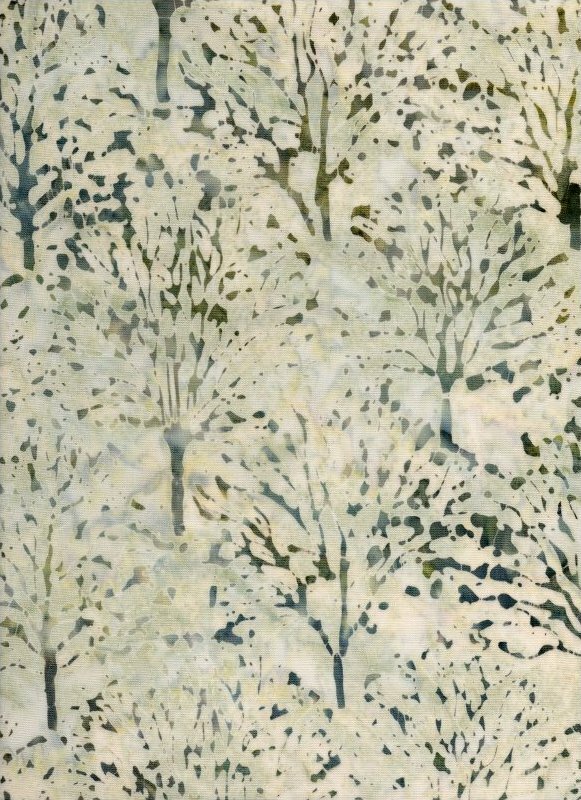 Gorgeous snowy background with timberwolf-colored woodblock trees - fantastic wintery print! 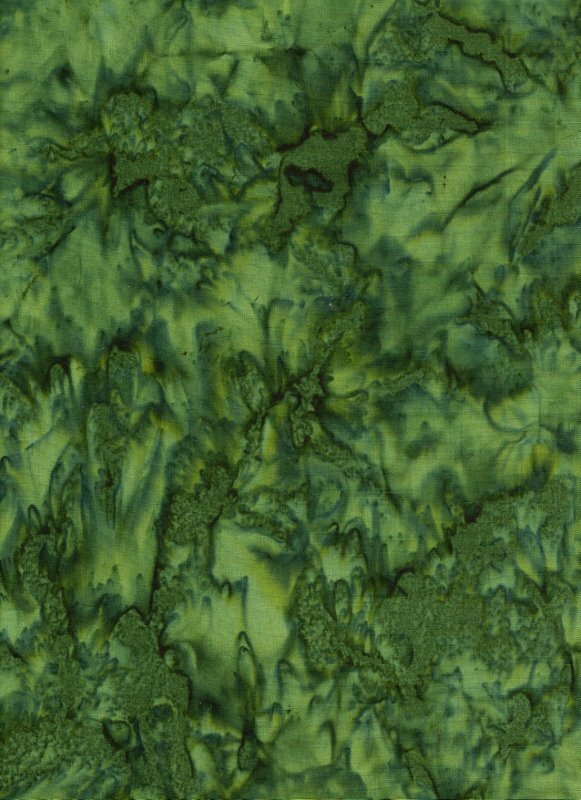 This rich deep forest green hand dyed tonal batik has incredible depth and texture. This is a very dark green you will love. 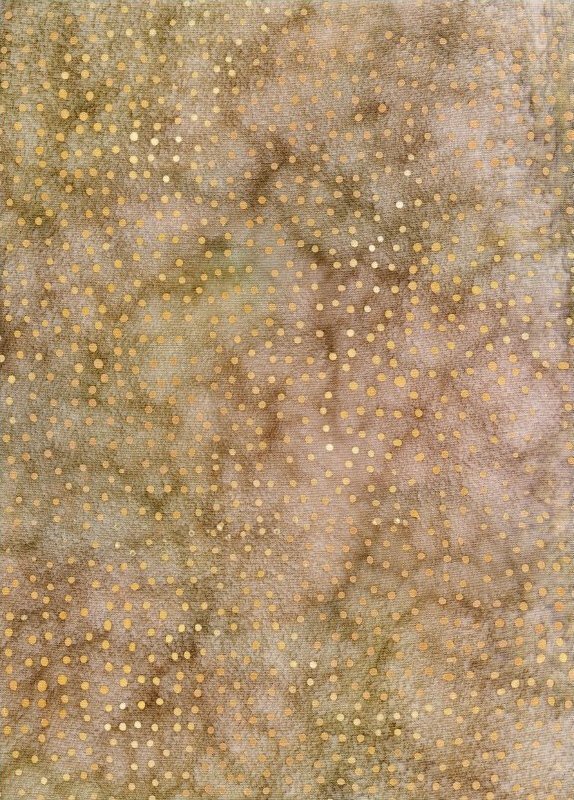 This lovely Tonga batik has a soft taupe/stone background with little tan dots. This piece will work well with so many fabrics! 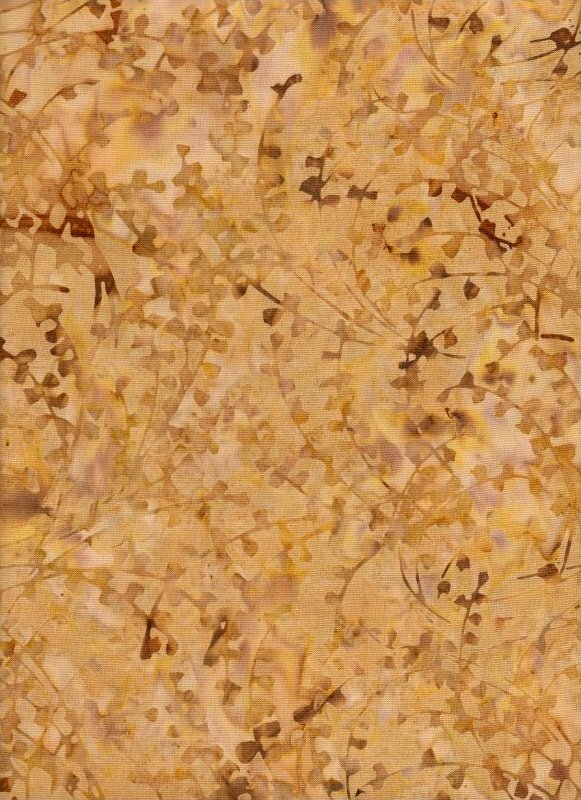 We love this straw colored tonal batik with darker gold and brown branches strewn across it. 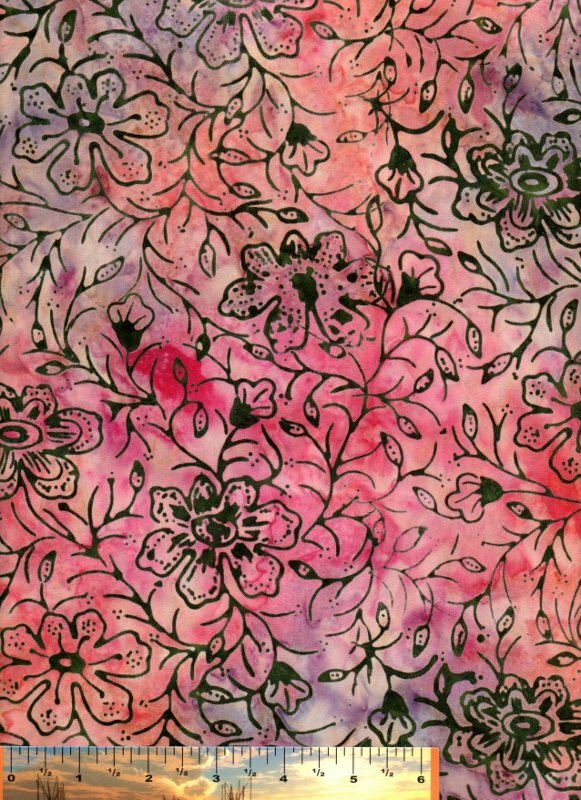 Gorgeous blender that works as a background with darker fabrics. 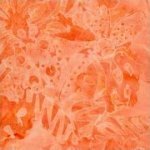 Gorgeous tangerine hand-dye batik - this is the Pantone 2012 Color of the Year, with good reason! Very rich, very versatile. 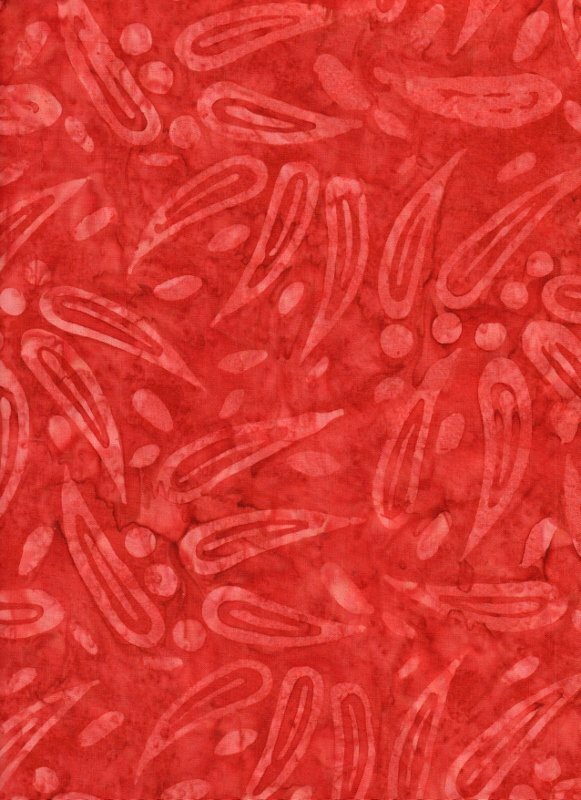 From Timeless Treasures' Tona line of batiks, this is a tomato-red marble with a paisley and splash tone-on-tone design. 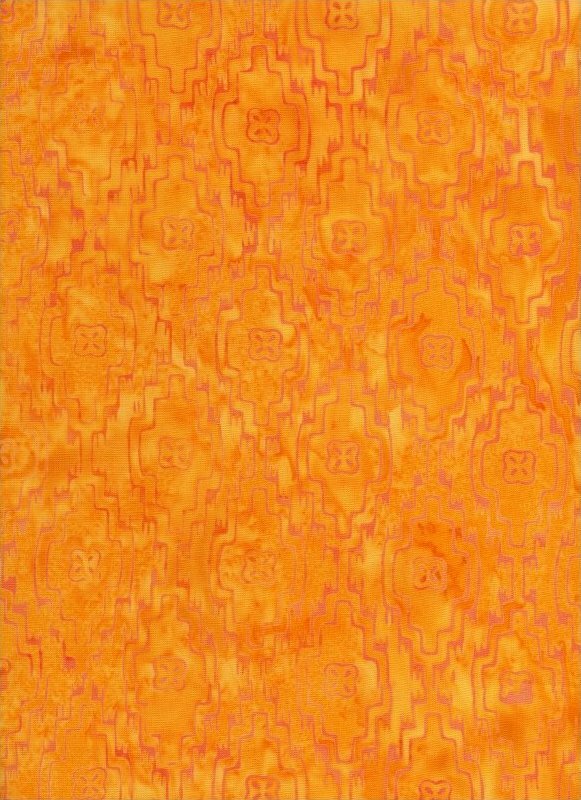 This Unmellow Yellow Tonga batik has a woodblock pattern in tangerine that is reminiscent of Native American blanket and bead designs. 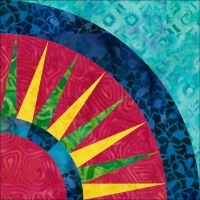 Gorgeous and unusual Southwest-inspired print! 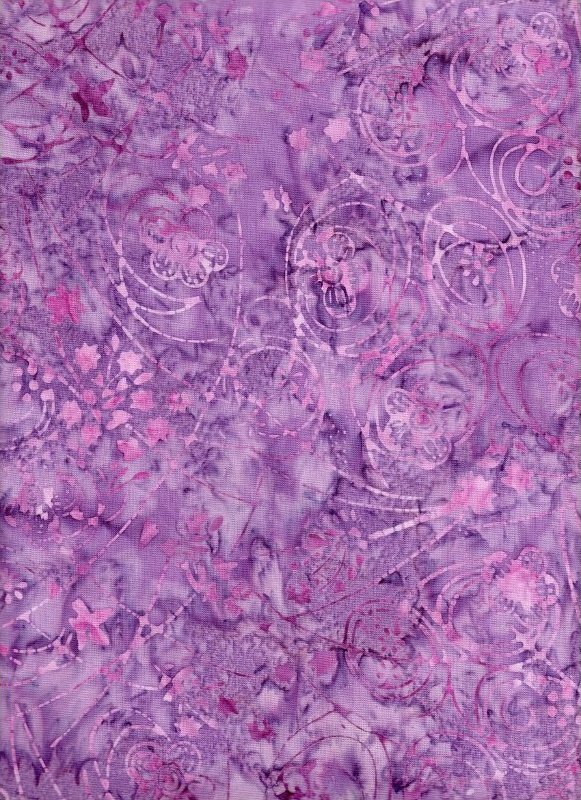 Beautiful wisteria tonal batiks with darker wisteria and pink flowers and vines swirling throughout.